Our local marks its 80th anniversary Thursday…with cupcakes! 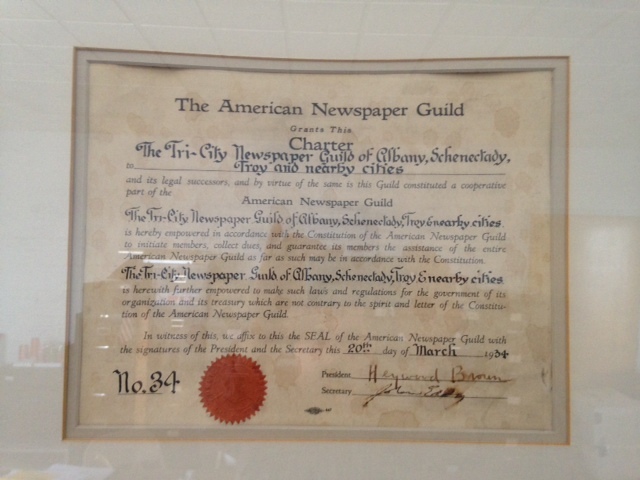 Tomorrow marks the 80th anniversary of the founding of the Newspaper Guild of Albany. And we do have to say, we look pretty damn good for our age. We invite members to come to the cafeteria from 12:30 p.m. to 1:30 p.m. Thursday to celebrate with FREE CUPCAKES! And we’ll show you how you can swiftly apply for a much-deserved raise.